The chapter is simply entitled ‘Women and God’. It finds its place in yet another book of the man whose real name is not Bob Dylan but Robert Allen Zimmerman, and with that surname most assuredly a son of Jewish stock. Yet, of course, fairly late in his life he was to hit the Christian trail – of sorts. Some will find some kind of redemptive process in so far Kinney does tells of a girl who went partying on pills, pot and cocaine, and heard Dylan’s album ‘Saved, She quit the drugs and got herself right. 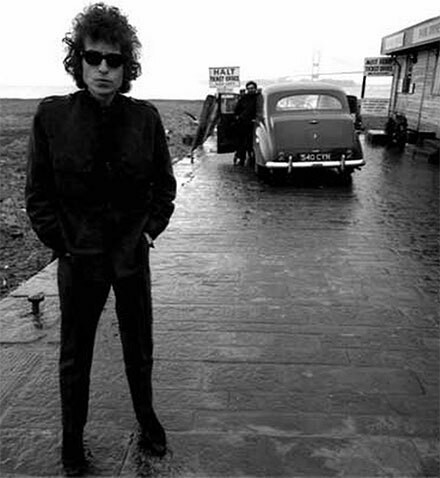 Author man Kinsey remarks that in 1979 and 1980 “Dylan concerts took on the air of tent-show revivals.”. David Kinney’s The Dylanologistsl (Simon & Schuster) should keep anyone reasonably happy, but as a text it’s a mix of seeing things viewed from the angle of fans, and providing a general commentary that in many respects has been noted elsewhere, and so one that in some way creates a degree of unease for the reader. Much of what I have noted comes from that chapter “Women and God.” Anything about Dylan’s religious persona is read eagerly, but discontent with the text sets in, for while we might ride along with Dylan from the 1960s to 1990s Kinney has precious little to say about Dylan the man of faith or not in the past 20 years. There is reference to 2004 in the last few short paragraphs, of that mentioned chapter. The reader might ask why nothing more is said, and surely and rightly be irritated or in more pleasant manner be left wondering. That said the book’s an enjoyable read, even if for us, faith people, Kinney ultimately leaves us high and dry because obviously he does not know where Dylan’s religious outing has rested, save for a brief excursion on pages 212-213. Here in an undated concert, seemingly but perhaps not 2010, Dylan is reaching back to the album Slow Train Coming and less a Bible-thumper..
John Lennon, solo performer and writer, made some great rock music - it was not particularly sophisticated, it was pretty raw compared to the highly studio orientated Beatle albums that charmed the world in the 1960s. Lennon went back to the roots of rock ‘n’ roll. This book by a reporter and editor of some thirty years standing tells you something of the mind of Lennon post Beatles, still the music lover, increasingly the social disturber with his new and strident songs. His past pedigree gave those who latched on to him the undoubted plus in his ability to draw thousands of people, and to whom he could tell a desired revolutionary message. This is the story of a legendary Brit deciding he would like residence in the US, and joyfully welcomed into the bosom of US radicals and activists. Setting up camp with the likes of feminists, black caucus leaders, hippies and yippies, meant he was an exceedingly powerful voice, someone to be monitored by various US institutions and agencies. Writer Mitchell tells how the relevant bodies made life uncomfortable, for with deportation always likely he could not easily plan his life, The blatant ‘get Lennon’ was aided by certain politicians right up to the presidency of someone such as President Richard Nixon, all longing to deport him back to the pastures of Anfield and Goodison Park, indeed Liverpool: well, anywhere but the US. They were only stopped by the worry that to do so would incur a political backlash to their prospects from the young. Lennon threatened the powerful,but of course this was a time, late 1960s into the first half of the 1970s, of great change in the US. of anti-war demonstrations, endless causes against the attempted status quo from civil rights to decriminalization of certain drugs that had fuelled and sustained the so-called ‘new generation’ with its music and marches. Mitchell is not into analysing the mind of Lennon, but along the way in the many stories and interviews it is plain that Lennon was a pretty complex person, doubtless owing in part to the contradictions that were forced upon him. We get the picture of Lennon who liked nothing more than to find a coffee bar and hopefully not be recognised, who wanted to be working class and poor but had money to do anything he desired, but on the other hand his fortune did mean he could financially be generous to causes, yet conversely he was a target for those who wanted money and would invent any old story. He had a real temper but sometimes regretted losing his cool. Lurking through the text is his coming to terms with his mostly ‘on’ relationship with the mysterious Yoko Ono, someone with whom he found depth. In the actual text that runs to around 245 pages (there are another twenty plus pages of addendums) it is not until we reach page 209 that the movement and pace of reading this absorbing book comes grinding to a halt. Lennon is recording at the Record Plant in Burbank and Into this scenario arrives a visitor by the name of Paul McCartney. For a moment time reverts, they greet each other with a joke from school days ”Valiant Sir Paul McCartney I presume’ says Lennon, referring to a character a Christmas play they had performed on British radio. McCartney responds: “Sir Jasper Lennon, I presume.” Tension goes. They end up having a rock ‘n’ roll sing-a-long. Mitchell comments: “Paul later admitted he was among the first to realise that Lennon may have needed a true friend.” You wonder why Mitchell doesn’t bat on this sudden declaration and tell more. The young pre-fame Lennon had a church background, a facet that became lost during Beatle days when Eastern mysticism attracted and LSD for a while seemed to promise nearness to a Creator. Mitchell doesn’t catch the solo Lennon with a religious searching to make sense of life. There is no Jesus membership in the index. Obviously not even the most radical or prominent voice in what was known in the US as the Underground Church managed to find a second of his time, in itself astonishing since there were at the time in the US many outspoken voices from a Christian perspective in all the issues and camps with whom Lennon came into contact. Perhaps Mitchell is not interested in the subject and that is the reason why it doesn’t occur in any shape or form beyond a line or so early in the book and that is a reference back to the famous statement that the Beatles were more popular than Jesus. However Mitchell does bring other characters into play, as for instance Ron Dellums, a founding member of the Congressional Black Caucus. Briefly the text moves us into the arena of the philosophy espoused by Martin Luther King, Dellums wanted to bring together the African American community and the broader white community with both needing to mobilize together to throw off the yoke of oppression. Lennon would produce some powerful lyrics, in part taking into account that America was very much a white man’s world. The Elephants is a group Lennon encouraged and considerable text is devoted to his effort. The group failed to make major impact. This material is really only of interest to those wishing to trace an aspect of Lennon’s music life that hitherto has not been given substance. Although an awareness of the US in the two decades of the Sixties and Seventies is helpful, none-the-less this is a readable and interesting text.